Studies conducted on families of children with autism spectrum disorder (ASD) indicate that the period following the child’s diagnosis can be challenging, especially for immigrant families. Indeed, they tend to have additional difficulties in accessing and using ASD diagnosis and early intervention services. To date, few studies have contrasted the experiences of immigrant and native families. During the period following their child’s ASD diagnosis, 104 immigrant and Canadian-born mothers and fathers completed the Beach Center FQOL Scale and provided ratings of perceived support. Immigrant families were less satisfied with their FQOL than Canadian-born parents, but no gender differences were observed. However, gender and immigration-status related patterns emerged with respect to the relative importance and satisfaction levels across dimensions of FQOL. Additionally, fewer immigrant families reported having access to external support, a predictor of FQOL, than Canadian families. Although no statistically significant gender differences emerged, patterns in the data suggest that each parent may benefit from different services. Overall, these findings highlight the importance of developing programs that take into account parents’ gender and cultural background and provide means of developing external support networks. The authors would like to thank all the research assistants for their assistance in data collection. The authors also wish to thank the participating rehabilitation centers (Centres de réadaptation en déficience intellectuelle et en troubles envahissant du développement de la Montérégie-Est et de Montréal) for their collaboration, as well as all the families who participated in the present study. M.M. : Analyzed the data, and wrote the paper. M.R. : participated in the design and writing of the study, collaborated in the writing of the paper. C.M. : participated in the interpretation of findings, collaborated in the writing, translation, and editing of the final manuscript. This work was supported by grants by the Québec Ministry of Health and Social Services. All procedures performed in studies involving human participants were in accordance with the ethical standards of two institutional research committees (the University du Québec à Montréal and the Joint Research Ethics Board for Public Rehabilitation Centers for Persons with Intellectual Disabilities and ASD in Québec) and with the 1964 Helsinki declaration and its later amendments or comparable ethical standards. Alshamri, K. H. (2016). Family quality of life for families of children with intellectual disability in Saudi Arabia (Doctoral dissertation). Western Sydney University. http://researchdirect.uws.edu.au/islandora/object/uws%3A40063. Millau, M, Rivard, M, Mercier, C., & Mello, C. (2016). 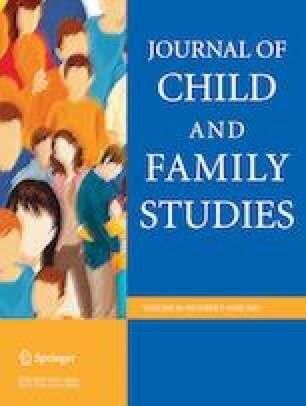 Parenting stress in immigrant families of children with an autism spectrum disorder: A comparison with families from the host culture. In C. Roland-Lévy, P. Denoux, B. Voyer, P. Boski, W. K. Gabrenya Jr (Eds. ), Unity, diversity, and culture: Research and Scholarship Selected from the 22nd Congress of the International Association for Cross-Cultural Psychology (pp. 312–319). Melbourne, Florida USA: IACCP. www.iaccp.org. Summers, J. A., Poston, D. J., Turnbull, A. P., Marquis, J., Hoffman, L., Mannan, H., & Wang, M. (2005). Conceptualizing and measuring family quality of life. Journal of Intellectual Disability Research, 49, 777–783. 10.1352/0047 6765(2002)040,0457:CMAAOQ.2.0.CO;2. https://doi.org/10.1111/j.1365-2788.2005.00751.x.